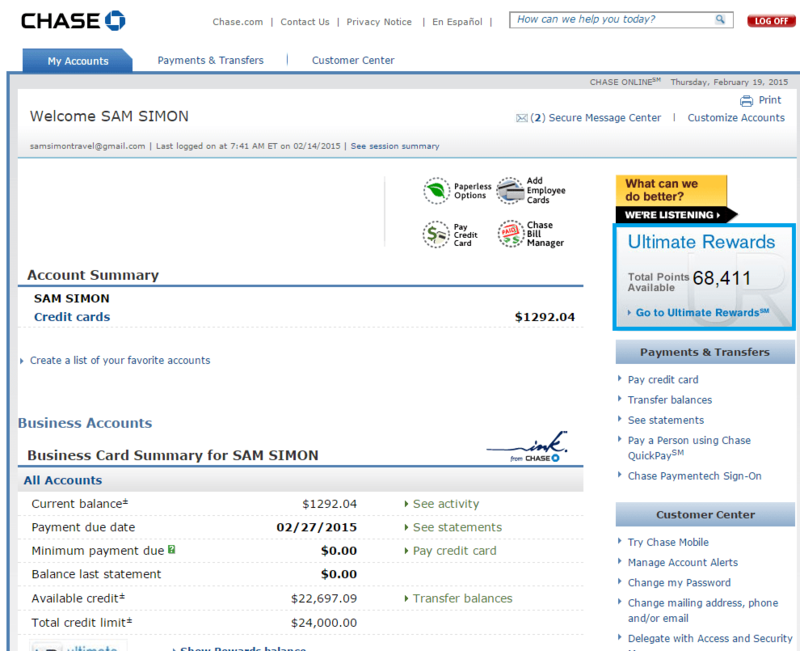 We’ve introduced some of you to the Chase Freedom (Preferred) card here this week on Milenomics. 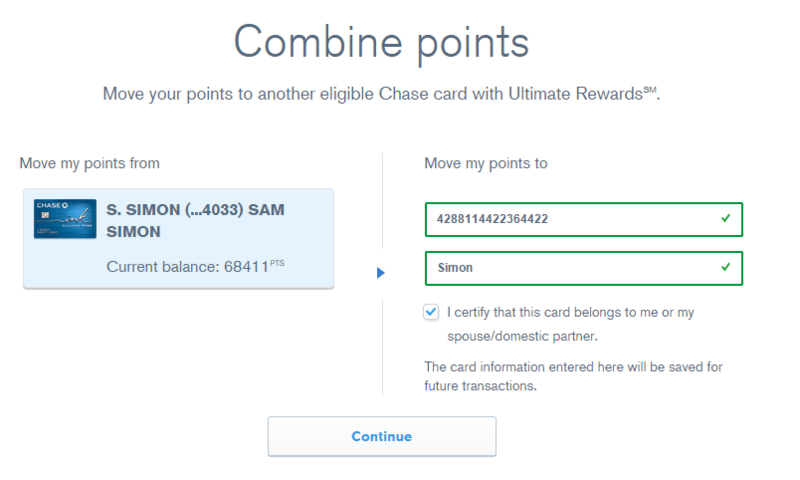 Today I want to go a little deeper into what you can do with this card, and how it can be used to safely store your Chase Ultimate Rewards without paying an annual fee. 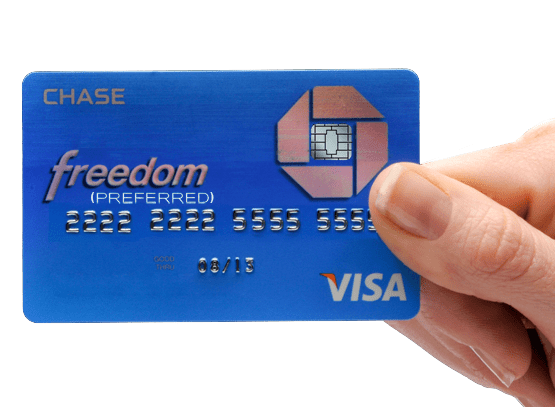 The New Chase Freedom (Preferred) Card with Chip and Sig. This is the hottest UR card out there in my opinion. So hot that I consider moving to it from a CSP as an upgrade. The best way to apply for it is to actually apply for a Chase Sapphire Preferred, net the sign-up bonus, and then convert to a Chase Freedom (Preferred). Let’s get to using the Chase Freedom (Preferred) as a storage unit for your Chase Ultimate Reward points. Think of your UR earning credit cards as individual bank accounts. Sometimes a bank charges you to keep a certain account tpe open, while they sometimes offer other accounts you can keep open without paying a fee. You can transfer your money from the bank account the fees to one with no fees and keep it just as safe there. We’ll be doing the same thing with our UR–transferring them from a Annual-Fee Chase Sapphire Preferred (or an Ink you’re looking to close) and keeping them safe in the no-fee CF(P) while you decide what to do next. 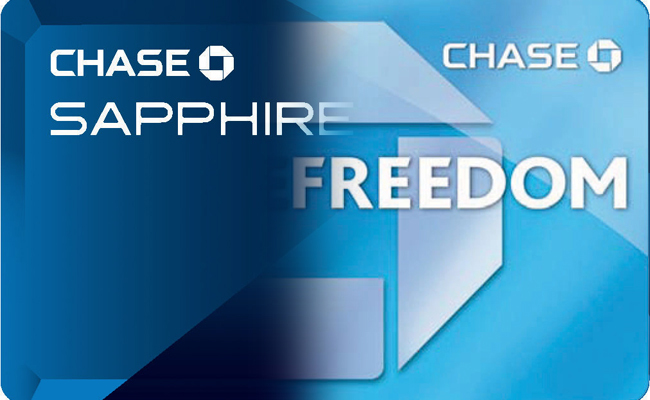 Converting your Chase Sapphire Preferred to the Chase Freedom (Preferred) means your UR move with the card. In fact, as long as you keep the same product (Visa to Visa) you’ll keep the same card number, and all your UR will be converted at 1:1 from the type which can transfer out to travel partners to the type which cannot. Sadly, at least one reader was not told this information when she called to cancel her CSP. So please, before you decide to close a credit card, stop and consider your options. Converting is the simplest solution if you only have one UR card, and it can convert to a Freedom (Preferred) Directly. However if you cannot change directly, say if you were closing an Ink Business card, you’ll instead want to transfer in your points to a Freedom (Preferred) before closing the other card. The process to do so is easy, and I’ll detail it here today. In today’s example I’ll be using an Ink bold, and a Freedom (Preferred) account. In reality the process works the same for transferring to/from any UR cards. 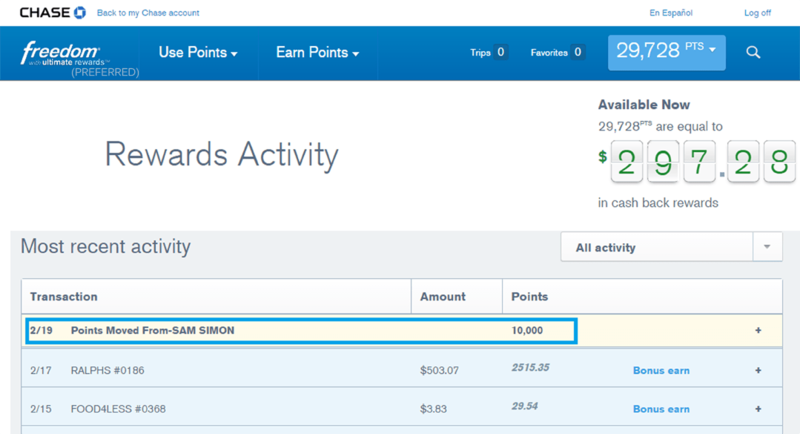 Caution here: Chase has cracked down on people transferring points out to sell/trade. While I’m not saying you can’t transfer to people who aren’t your spouse/domestic partner, I would be prepared for any consequences in doing so. Smaller amounts, and people with your last name (like family) will probably be safer, but assume that no transfer that technically breaks the rules is 100% safe. 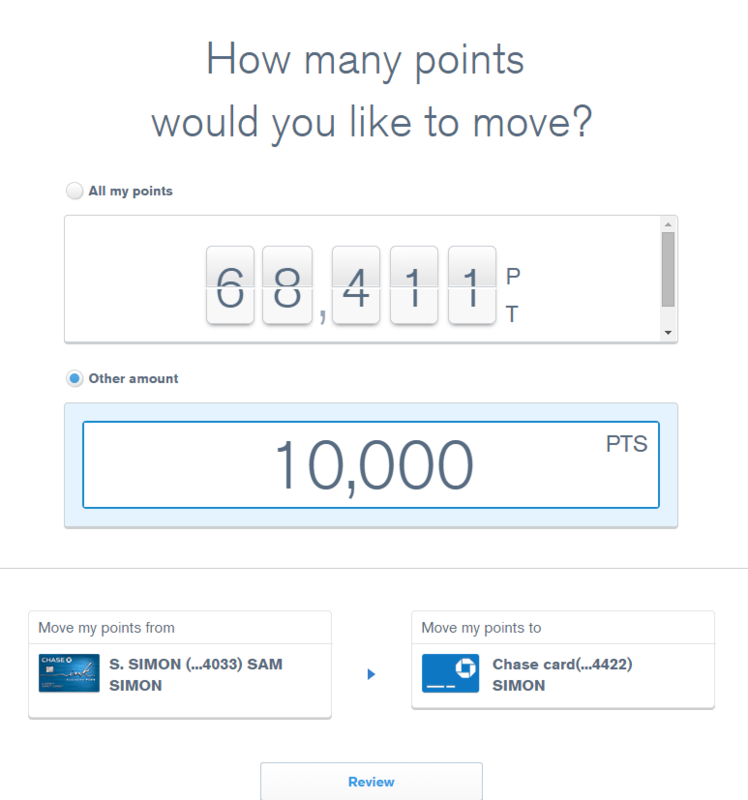 As you see above, the Chase Freedom (Preferred) Ultimate Rewards portal now shows my 10,000 point transfer, and my total UR is updated immediately to reflect this. If you’re seriously considering closing a UR card you would transfer in 100% of your points, and keep them in this CF(P) for safe keeping. In the future when you, or a partner open a CSP or Ink again you would then be able to transfer these points out in the same fashion as you transferred them in. You would simply use the combine points feature on your CF(P) and move them to anoter Chase card. As always, if something isn’t clear drop me a note and we can discuss in detail. I’ll admit the CF(P) lacks in the transfer parter category. 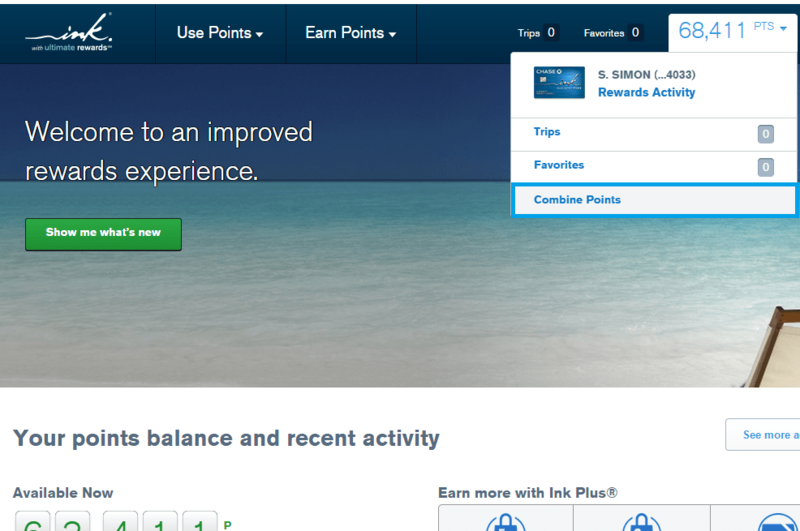 However how often are you transferring points? Storing your points in a CF(P) while you or your spouse assess and apply for a new UR earning transfer card can save you money, and keep your points safe and sound. Just another reason to ensure you have at least one Chase Freedom (Preferred) card on hand at all times. I think your entire credit card numbers are on the photos for the internet to see. Jill: Thank you for looking out for me! 🙂 I take great pains to make very realistic looking images for the blog that contain none of my real information. I don’t like blurred out parts of images, and feel that readers have a harder time “seeing” the big picture when important details are scratched out of view. Rest assured those numbers are completely fake. Was just about to leave the same warning! Great post,Sam! I stumbled onto this in my last Chase shuffle, my CSP was coming up to it’s annual fee, of course I tried for a retention offer,(they NEVER offer it! ),”downgraded” to what IS my 2nd CF card, re-confirmed by secire message that the 24 months had passed since my last CSP sign up bonus, applied for a NEW CSP card with a NEW sign up bonus, which I’m now in the process of meeting! ($4K in 3 Months, not easy!) The advantage, which you point out in another post, is that I now have 2 CF cards to get the 5X UR points bonus, this quarter the easy Grocery Store catagory! #WINNING!